Home automation hub devices put you in control of every smart device in your home. As someone who has spent years researching and testing out new smart devices, I can tell you how convenient they are and how much easier life has become. There are an increasing number of smart products being invented every day, and if you buy a newer model of surround sound system, a projector, TV, and other electronics, the chances that it has ‘smart’ connectivity is very high. But, electronics aren’t the only smart devices. 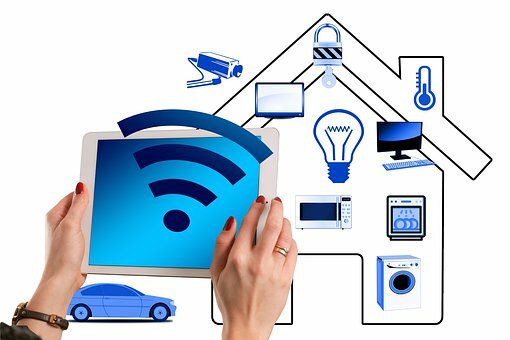 Light bulbs, outlets, appliance modules, security systems, cameras, sensors, and thermostats are just some of the smart products that are common in homes nowadays. Everything from great surround sound systems to home projectors is getting the smart device upgrade. All these smart products in the home need a central hub to communicate with. Otherwise, you’d be using dozens of different apps and websites to control all your smart devices. No one wants that. A home automation hub is a unit that acts as the communications director between you and your smart products. Amazon has been at the forefront of the smart home industry with their exclusive line of “Alexa” and “Amazon Echo” products. Alexa is an artificial intelligence software that links everything in your life together to provide the ultimate convenience. 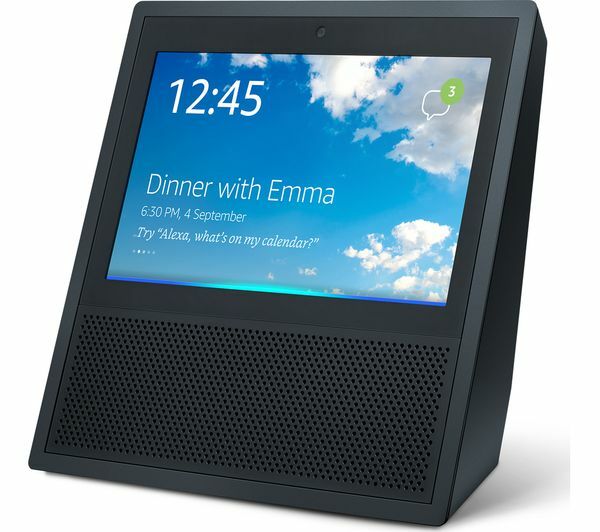 The Echo Show is the latest model in the series of the Amazon Echo brand. Previous versions only offered a product that would light up and listen to commands. This version has a large screen, huge speakers, and more Alexa-enabled apps to use. Why is This Device the Best Home Automation Hub? The Amazon Echo Show is the best home automation hub because it links more than just your smart products in your home. It links your Amazon account, to which you can order whatever you want through Amazon’s vast array of products and programs like Kindle, Audible, Prime, Prime Video, and more. These devices are brilliantly designed to be the central hub for your smart home, smart devices, Amazon’s features, hundreds of apps that are compatible with Alexa, and so many other things. Virtually any smart product will link to the Amazon Echo Show. Manufacturers around the world have set the standard in the smart product industry that every smart product they make must be compatible with Alexa to be competitive in the marketplace. Any smart product not compatible with Amazon’s echo devices is doomed to fail. You can trust all the major brands like Samsung, Phillips, GE, LG, and others make products that are compatible with Alexa and the Echo line of devices. Unfortunately, home security systems are becoming a necessity nowadays. Most people are electing to install their own security systems. It has never been easier, and it will save a ton of money. So, what products can your security system have that will be compatible with your new Amazon Echo Show? Every. Single. One. All Amazon devices are compatible with one another. If you have a previous generation of the Amazon Echo, you can spread them all throughout the house and they will work with each other. You can even tell Alexa to move your music to the bedroom, or the security feed to the kitchen, or the movie you are watching on Amazon Prime Video to the living room. This device can download “skills”, which are like mini-apps the device can use. You can enable these skills via the Alexa App. There are thousands of different skills, some of which tell you the weather, let you know the news of the day (which you can personalize), listen to a favorite radio station, listen to Pandora, Spotify, access your Amazon account, order a certain product, etc. Make to-do lists like shopping lists, etc. The new Amazon products that are coming out are getting increasingly expensive. Some people see the price tag and immediately go looking elsewhere. Any other home automation hub worth buying is going to be compatible with previous versions of the Echo devices. So, that sort of mitigates the need to upgrade to the Amazon Echo Show or the Echo Spot. Also, to take full advantage of Amazon’s services, people are required to have already purchased the company’s ‘Prime’ program. It only costs about $10 a month, but it still is an added bill on top of an already expensive product. Some people just want to save some money. Some people have also complained about a feature called ‘drop-in’, where people can actually drop in for a video call from anywhere at any time. Amazon is taking steps to ensure people’s safety and privacy with this feature, but those few do find it creepy that Amazon would include it as a feature. To remedy this, you can do what most people do with cameras on their laptop, desktop, tablet, phone, etc., and put a small piece of tape over the camera when it is not in use. That way, no one can hack in or ‘drop-in’. The Amazon line of home automation hubs is incredible. The Echo Show and the Echo Spot are the only devices in that line with screens though. The other, previous Echo devices are only a hub that can listen to commands, play music, and has volume buttons. But, the Amazon Echo Show is by far the best of the Echo line so far. 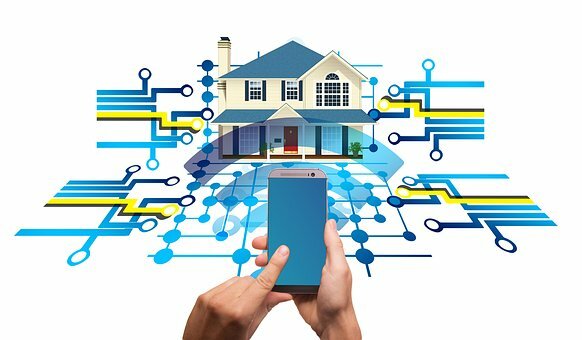 If you elect to choose this as your home automation hub, you can be confident that it will last for a very long time before you’ll have to upgrade to a newer model, if at all. If you’d like to browse even more information on the Amazon Echo Show, go to the official product website. Samsung has been competing with all the different smart product manufacturers with some incredible products of their own. Samsung is a huge company that makes some of the best electronics, appliances, and more. 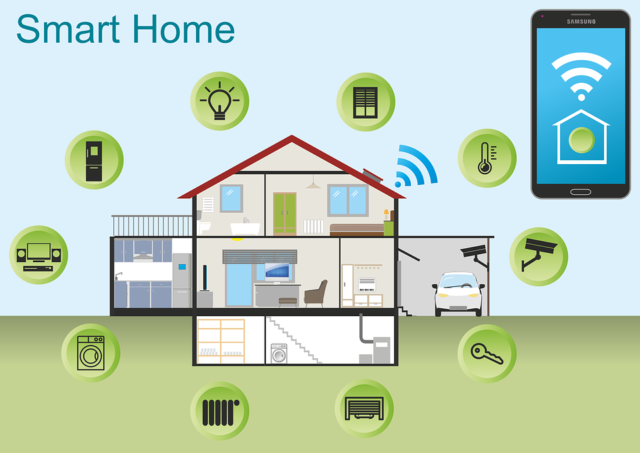 The SmarThings home automation hub does some incredible things, and it is compatible with any smart product. Why is This Home Automation Hub So Great? The features this device offers aren’t quite as good as the Amazon line of Echo devices, only because Amazon devices do so many other things. But, that certainly doesn’t take away from how this device is great at what it does. Some people say they’d rather have a product that is perfect at one thing than have a mediocre product that has a million features at a mediocre level. The Samsung SmarThings device is perfect as a home automation hub. Why? First, the hub is offered with many other smart products that are compatible with it as a kind of package deal. You can buy the hub by itself, with a security camera, a smart outlet, a smart motion sensor, and even a smart water leakage detector. Like most other home automation hub devices, this one acts as the brain of the operation, networking every smart device in your home so the user can connect every device and control them through one hub. This hub works extremely well. It is well built, fashionable, very affordable, and has great connectivity with about every smart home product. Samsung makes all kinds of smart home products that will pair perfectly with this hub. That much is obvious. But, this hub will also pair with about anything else. 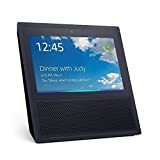 This device is not an Amazon product, although it works with Amazon Echo devices and is compatible with Amazon Alexa. Some people may see this home automation hub as just an extra, unnecessary device. Those people would not be completely wrong. If you have new Amazon devices, like the Echo Show, or the Echo Spot, then this device is unnecessary. But, if you have older Amazon Echo devices and do not want to upgrade, or you just have smart products without Amazon devices at all, then this hub is the perfect home automation hub to use. Samsung is a leader in the electronics industry for a reason. They do not mess around in making their products, and this SmarThings home automation hub is no different than other products they make. It is super easy to install using the user-friendly SmarThings App. The device is also affordable. It is well made, so it can take a little bit of abuse from accidents. It is compatible with most smart products worth buying. There is a ton of features, settings, and ways to personalize the device, the app, and all the products connected to it. It was awfully hard to decide which device went into first place. The Amazon Echo Show barely beat out this Samsung SmarThings home automation hub because of the screen and the way people can use all of Amazon’s features along with the product itself. Otherwise, this device would be at the top. It works so much better than other brands. People can trust Samsung to deliver top-quality products as well. Plus, this device is so much cheaper than the Amazon Echo devices being made now. So, you may save quite a bit of money to build a smart home. If you’d like to check out more about Samsung SmarThings, visit their website. This little device does some grandiose things in connecting your entire home’s smart products. Although it is no Amazon Echo Show or Samsung SmarThings home automation hub, this very affordable device certainly does the trick. This device was engineered to be as simple as possible. It meets and exceeds that goal, and in a good way. What Makes This Home Automation Hub Worth Buying? The features and connectivity options on this hub are nothing to make light of, regardless of its cheap price. You just cannot find another home automation hub that will outperform this device. There are even devices as much as three times the price of this hub that don’t outperform it in any aspect. This device was made for the people who want to just connect their smart products, use an easy app, and go about their day. They want simple, affordable, and useful. This device provides all those things. There are so many other products to list, so these are just a few smart products that easily connect to the Wink home automation hub. The hub works with Amazon Alexa, so you can control your Amazon account and most other features that Amazon Alexa offers. The Wink App is a great app that lets you fully control your smart home. The app is free to download on any device. Inside the app, there is a feature called ‘Wink Shortcuts’, which allows the user to pre-program multiple products to obtain a certain goal. For example, if you are having a movie night with the family, you can create the ambiance. With one tap of a button that you labeled ‘movie night’, certain lights will dim in the living room, the TV can turn on, along with the surround sound, and other things that will help you get ready for the special night with your family. You can set the shortcuts to do whatever you want, controlling multiple products at once. Wink Robots is a feature that allows the user to fully customize the way they use their smart products in their home. The feature focuses on how your smart products communicate with each other, like what Wink Shortcuts does. For example, you can input a setting that allows your front door locks to communicate with the lights in the foyer to turn off when the door locks. And for the lights to turn on when the door unlocks. 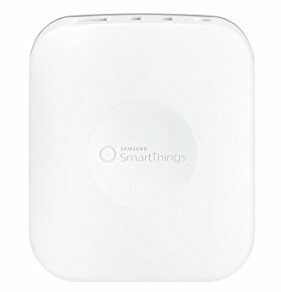 If you want to count it as a flaw, the Wink Connected Home Hub does not have many features like Samsung SmarThings hubs or Amazon Echo devices have. The processing power of this device is not up to par with the two products mentioned above, and it may take several minutes to connect to other devices. This is a great hub for anyone. The design focuses on what a home automation hub should do. It links every smart product in your home together in an efficient manner. The Wink App along with the cool features like the shortcuts and the robots make personalization and using the system so much easier. For instance, it will link to third-party security systems. 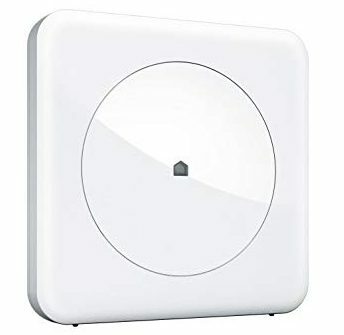 It will also connect with other Wink hubs throughout your home if you need to extend the range a bit, which is needed for exceptionally large homes or buildings. And, it will connect with any smart product on the market. It is also affordable. But, that does not mean that it sacrifices quality and necessary features to bring the price down. If you’d like more information on the Wink Connected Home Hub, and other products from Wink, visit their website. 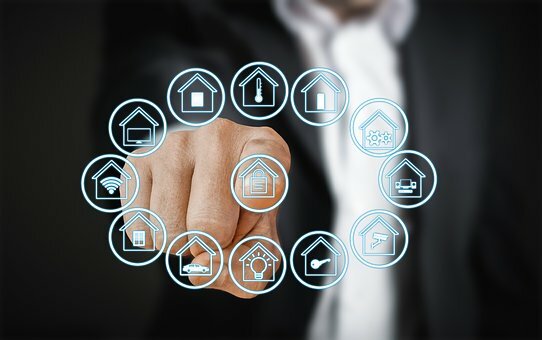 These home automation hub devices are the evidence that technology has taken a large step towards complete control through automation, AI, robots, etc. Plus, it does not cost a million dollars to make your house a smart home. Most of these products come with kits and package deals that come with cameras, sensors, light bulbs, or other products that will help you get started. Any of the three mentioned products will work perfectly in your home. The right home automation hub for your needs is the best one.